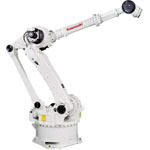 Industrial robots usually consist of a jointed arm (multi-linked manipulator) and end effector that is attached to a fixed surface. 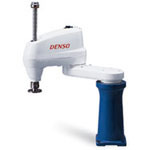 One of the most common type of end effector is a gripper assembly. 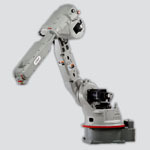 Once submitted, we will try and place you in contact with a suitable Industrial Robotics supplier within 48 hours. 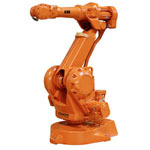 KR 30-4 KS-F Industrial Robot from KUKA Robotics Corp.
ZXE130L Robot from KAWASAKI ROBOTICS (U.S.A.), INC.
ANATROLLER ARI-50 Mobile Robot from Robotics Design Inc.
Six-Axis Robot - Adept Viper s1700 from Adept Technology, Inc.
AII-V20 Arc Welding Robot from OTC DAIHEN, Inc.